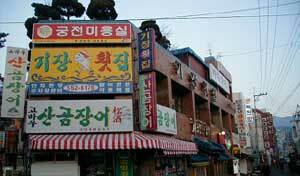 Korea is located on the Korean Peninsula in Norhth East Asia. The Yalu River separates Korea from China and the Tumen River separates Korea from Russia. Korean islands include Jeju-do, Ulleung-do, and Dokdo. Well developed plains can be found in both the southern and western part of the Korean mainland, while to the east and northern parts are mountainous regions. The highest mountain in Korea is Mt. Baekdu (2744m). Depart for Seoul at (1.15am). 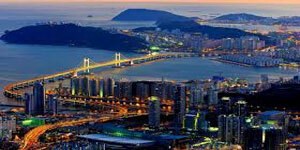 Upon arrival at Incheon International Airport, our local tour representative there will welcome you. This Historical Court Drama Daejanggeum has sparked new interest in Court Food and has thus gained popularity over foreign viewers. You can now experience Korea’s traditional Court Food & see the shooting location of the drama Suragan meaning Royal Kitchen. After the drama. 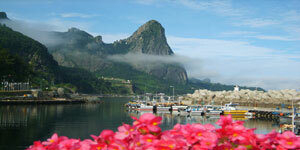 we will take a scenic drive to Mt Seoraksan’s National Park which is located about 1700m above sea level. Once up there, you will have a spectacular and breathtaking view of Korea’s most beautiful mountain areas with clear flowing streams, cascading waterfalls, dense forests, lush green valleys and towering granite peaks. The Seoraksan Mountains have their own unique beauty all year round with Autumn being the best. 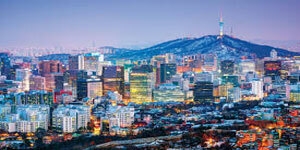 We will then have a ride on a cable car to the Gwongeumseong – an old mountain top fortress of the Silla Kingdom. 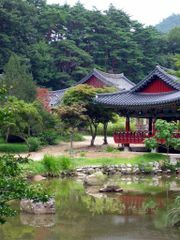 At the back of it’s hillside, there is another attraction ~ Shinhungsa Temple. An 18 meters Unification for Peace Buddha bronze figure sat at the outdoor entrance. Many Koreans believed and come here to pray for the nation’s unification.